The company has now confirmed that the device, the Realme 3 Pro, will be launched on April 22. 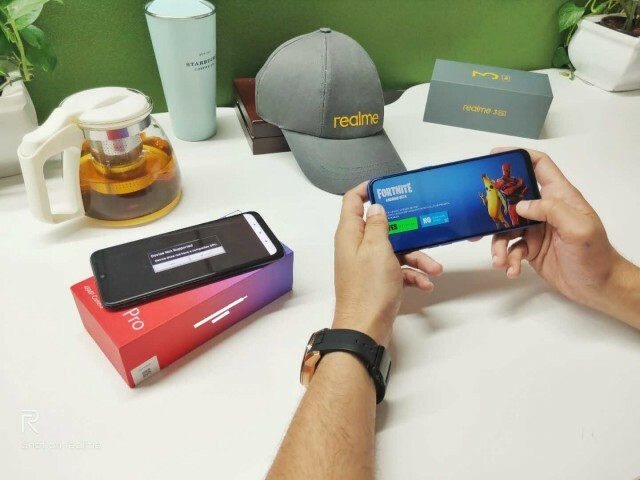 Xiaomi claims to have successfully surpassed over 1 million units of Redmi Note 7 and Redmi Note 7 Pro sale within just a month of its launch in India while globally, it has already sold more than 4 million units of Redmi Note 7 series. Recently, there were leaks suggesting that this device will be launched with a pop-up selfie camera but the confusion cleared soon. The company has teased the launch of an upcoming Redmi smartphone on its Twitter handle. Xiaomi has started to tease the new Xiaomi Mi Play smartphone on its, with several teasers posted on the page. Unlike most smartphones that come with the front-facing camera cutout at the side, the Redmi smartphone will feature it in the centre. Moreover, Redmi General Manager, Lu Weibing also mentioned a Redmi phone with 32 MP front camera on his Weibo account. The Xiaomi Mi Play teasers suggest a Snapdragon processor, and good sound quality. It is equipped with a 6.3-inch LCD display with a resolution of 2340 x 1080 pixels and 19.5:9 aspect ratio. If this device is legit, Redmi's upcoming flagship will not include an in-display fingerprint scanner, as a fingerprint scanner is placed on the back of this phone. It has a Snapdragon 625 SoC paired with 3GB/4GB RAM and 32/64GB storage. We also expect to see HDR capabilities from the main shooter. An LED flash is also included on this phone, and it is placed right below the triple camera setup on the back.